Amazon Echo's newest trick — calling and text via the Alexa digital assistant — may have already gotten a sorely needed improvement, but the smart speaker is about to get yet another new feature that makes keeping up with your messages a little more intuitive. 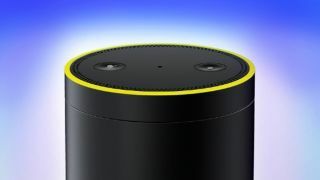 Expected to roll out soon, Amazon will update its Echo speakers to shine a yellow light when users have a new voice or text message waiting for them. Besides expanding the color scheme on Amazon's normally monochrome tube, the yellow signal also helps distinguish unchecked messages from incoming calls. Originally, a pulsing green light was used for both saved messages and someone calling on the line, causing confusion for some users. From now on though, a green light will be reserved just for incoming calls. Amazon began rolling out calling and text features to its Alexa digital assistant last month, allowing owners with Echos or other devices with the Alexa app to leave messages or ring up other Alexa users with a simple voice command. Alexa-to-Alexa calling is currently only available in the US, with Amazon urging curious international users to stay tuned for further updates.